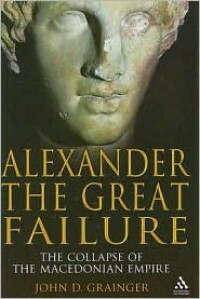 Beyond a talent for organized murder, it's always been my suspicion that Alexander III of Macedon was ultimately a failure, and Dr. Grainger's book goes a long way toward proving that. 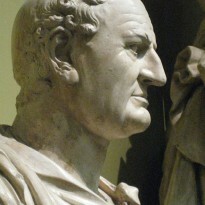 Raised to the throne of Macedon after his father's murder, Alexander wasted no time in high tailing it out of the kingdom and embarking on his famous campaign of world conquest. But to what end? He made no effort to organize his conquests and, indeed, seems to have used the excuse of further expeditions to avoid dealing with the administration of his realm. His death ushered in nearly 50 years of bloody war across the range of the Persian Empire before a semblance of stability was achieved. The one substantive complaint I have occurs in the last chapters of the book, when Grainger seems "blame" the Macedonians for failing to seize their moment and create an enduring empire. This after spending much of the previous book detailing just how primitive (in terms of political institutions) the Macedonians were and how unfit they were to take over administration of an empire that stretched from modern Turkey to Pakistan. I would argue that, even if Macedon had been a model of an advanced, working polity, it's unlikely that a unified empire would have survived for more than a few generations. The distances and the tools were too vast and too indequate. The Persians lasted for as long as they did by not being too oppressive: The hand of empire rested lightly on the Achaemenid's subjects. The second complaint arises from my profession of copy editor: There are simply too many glaring typos. A quick example: The transliteration of Greek names more closely follows the original Greek than in traditional texts; i.e., Akhilles sted Achilles, Peiraios sted Piraeus or Agathokles sted Agathocles. Yet the older (more English) spellings pop us occasionally. It's a minor cavil that noneditors would probably miss but it insults my professional pride and sticks in my craw. Other than that, however, this is a very good book. Well worth the effort to read, though I wouldn't recommend it to anyone unfamiliar with the period -- the names of people and places flow fast and free and there's little allowance for ignorance on the part of the reader.